Prior to Pega, I was IBM Product Management Director for the OmniChannel Marketing Products (formerly Unica). Prior to IBM, I was Unica Professional Services Practice Director where I led teams and managed Unica implementation projects for large enterprises, working directly with executive sponsors. Prior to Unica, I was with SAS, Rapp Collins / Omnicom, and UPS. I have over 30 years of experience with marketing technology systems design and implementation, strategic planning, customer analytics, business intelligence, and Enterprise Marketing Management systems implemented across a variety of industries. I have a BSBA in Marketing from Georgetown (Washington DC), an MS in Database Systems / Operations Research from Univ. of MD, am a certified Professional Direct Marketer, and have spoken, blogged and written on various Marketing technology topics during my career. My Photos. Pictures I’ve take over the years – Organized chronologically. I love taking pictures. I’ve filtered down in here to just my favorites. I’m a middle child with 4 brothers and 3 sisters and 2 feisty parents. I’m a hobbyist of many things, including guitar playing (which means a master of none of them). I’ve included some of my music from my SoundCloud site. My brother Tim sells really amazing intricate animal art. Check him out at Tim Jeffs Art. My daughter Rachel Jeffs is an amazing creative talent – Check her out at racheljeffs.com or at her business site Good Grub. My daughter Sara Jeffs loves everything Japanese, especially Hello Kitty. Here is a Charming Kitty video she did that got 42k views on YouTube. A highly versatile manager with over 25 years experience managing product management and professional services teams and projects, information systems teams and business units – who designs and implements Decision Support Systems and Enterprise Marketing Management (EMM) and Customer Relationship Management (CRM) systems directed at optimizing customer engagement initiatives, processes, and automation – thus enhancing ROI and stockholder value. Responsible for go to market strategy, messaging, content, positioning, pricing, partnerships, and product management strategy for the Pega Marketing and Customer Decision Hub applications. Responsible for the Omni Channel Marketing Solutions / Products (former Unica products), and manages a team of product managers. Grew Unica portfolio under IBM ExperienceOne brand from $90 million to over $200 million, fueled by growth in campaign management and real-time personalization sector. Team with marketing to ensure 2x to 3x pipeline coverage, and helped sales close strategic deals. Lead workshops with customers (understanding use cases), engineering (writing user stories and coaching teams). Drove using agile and adapting a hybrid model for on premise and SaaS applications. Thought leader for the portfolio, responsible for developing overall roadmap and engaging and exciting large audiences in numerous public speaking sessions, leading to initial interest and ultimate conversion. Personally responsible for the creation and design of several innovations in real-time and marketing operations (MRM) workflow modules. Led efforts to ensure portfolio remained in the leader quadrants for Forrester and Gartner reports. Led various Unica implementation projects for a wide variety of customers, collaborating with executive sponsors and project managers as well as Unica business partners on joint implementation projects. A detailed list of clients / projects will be provided upon request. Responsible for Pre-Sales and Delivery Teams (over 25 professionals) supporting Sales and Consulting. Example SAS Marketing Automation Customers in US: AAA of SC, Abercrombie and Fitch, Ameritrade, Bank of America, Executive Greetings, The Hartford, Hibernia Bank, Morgan Stanley, National City Bank, Peoples Bank, Provident Bank, Sony Music, Sprint, and others. Sold and delivered 15 Marketing Automation contracts valued at about $15 million in 2003. Spearhead for definition and prioritization of product requirements for the re-write of SAS Marketing Automation. Managed Team of 5 highly motivated Pre-Sales Consultants (Sales Systems Engineers) who supported the account teams in proving to prospective customers the value of the SAS Marketing Automation Solution by using their extensive business domain and technical expertise. Sold 13 Marketing Automation contracts valued at about $13 million in 2002. Developed Database Marketing and Fulfillment Systems for improved direct marketing. Designed Analytical Plan and Data Model for The Vanguard Group (Mutual Funds), and targeted High Potential Clients for focused up-sell and retention efforts. Coordinated database development for Georgia Natural Gas Services (a sister company of Atlanta Gas Light). Managed project team of 8 on $500,000 fulfillment project for DaimlerChrysler / Ross Roy, aimed at processing up to 20,000 new leads per week using highly effective digital customized direct mail. Performed SWAT assessment and transition engagement to fix response system for Ameriquest Mortgage who mails over 4 million piece/month; reporting system that was previously 5 months behind was up and running in less than 1 month. Exclusive marketing consultant with com (a B2B e-commerce site) and was responsible for billings in excess of $150,000 in 5 months. Consulted with them on all facets of direct marketing, including driving strategy and the design and implementation of an Oracle based Marketing Data Warehouse enabling them to more effectively evaluate acquisition efforts, target buyers, and sell site inventory. Other clients: Hyatt, com, UPS, Royal Caribbean, United Airlines, Marriott Vacation Club. Developed Database Marketing System for improved marketing segmentation. Helped design CHAID and Hierarchical Discriminate segmentation models used to improve UPS promotion response rates from about 2% to in some cases better than 4%. Responsible for building in RFM, LVC and Retention data to drive churn analysis and loyalty programs. Responsible for developing sub-system for campaign management using Desktop Direct. Managed team of 7-10 through technical design, testing and implementation of a database and user interface built on a Windows NT to SUN UNIX client/server platform using Harte-Hanks P/CIS software. Responsible for design and testing the Data Warehouse. Helped build Lotus Notes Database containing critical database marketing reports such as cross-sell analysis. Developed and delivered integrated business planning systems worldwide. Re-engineered worldwide planning processes and systems resulting in corporate wide savings of $ 1.2 million. Directed software development team ranging from 5-7 people. Developed 3 major releases of the UPS Business Planning System software. Provided training and planning support services to 15 international departments and divisions. Developed an EIS (Executive Information System) to speed and improve executive decision making. Made significant design improvements to the General Ledger System to improve data stored for planning and reporting, and Activity Based Costing. Designed and implemented customized cost reduction systems worldwide. Designed and implemented Operations Improvement Systems. Speaker at many large marketing conferences to very large audiences, receiving outstanding ratings. Born May 18 (20 years later Mt. Saint Helen exploded…you do the math) in Rockville MD, I grew up in the 60’s and 70’s. I attended St. Mary’s Catholic Church from grade 1-5 (where we played tackle football in our uniforms on the blacktop), Hungerford Elementary grade 6 (where I first heard about somebody smoking a roach and I wondered why are they smoking insects), Julius West Junior High school grade 7-9 (where I got straight A’s in school and in being street wise), and Richard Montgomery High school 10-12 (way too many things encountered to go into here – need a blog on this). In a huge family, I was one of the only kids that took to sports. I tried everything and loved all sports, from football, to baseball, gymnastics, basketball, diving, tennis, golf. You name it, I loved to play and compete (still do in golf and racquetball). 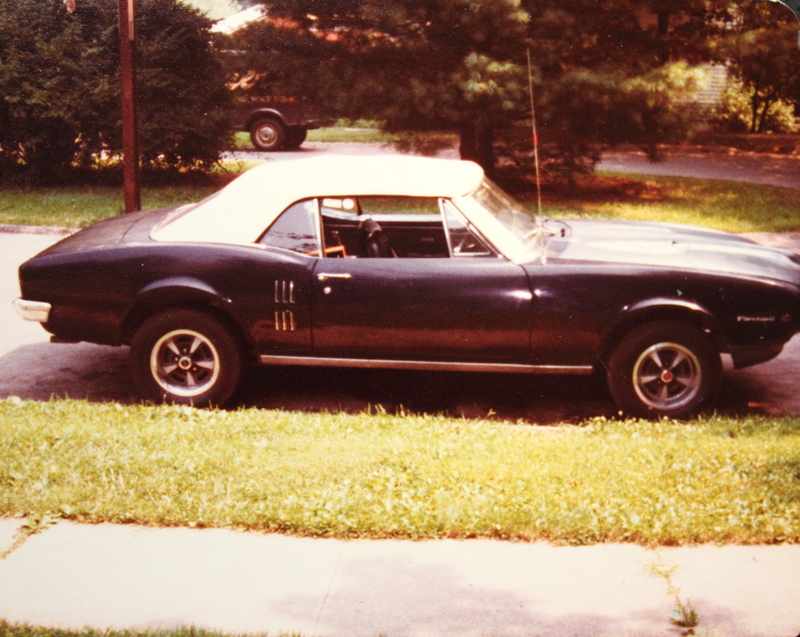 I also loved cars, and grew up in the golden age of big muscle cars. My friends were into cars. So was I. We constantly were building, rebuilding and tinkering with our cars. In 1978 I entered the world of Georgetown and in the first half of my freshman year, commuting in my 1967 Firebird and still hanging out with some of my high school cronies; I got scorched by St Elmo’s fire. I nearly dropped out, out matched by the seriously over prepped students from the northeast. But I learned an important lesson that semester (namely you can’t commute as a freshmen), and in my 2nd semester moved into Darnall Hall dorm, made great friends, moved off campus into a townhouse on 36th St, got a great job working at Doggett’s parking, played college golf on the golf team, played club Rugby, persevered and thrived, and in 1982 graduated (on time) from the business school. Knoxville, Tennessee – the world’s fair was there that summer. I was dropped off after dark, and with nowhere to go, slept in a patch of woods near a highway and was devoured by insets that night.